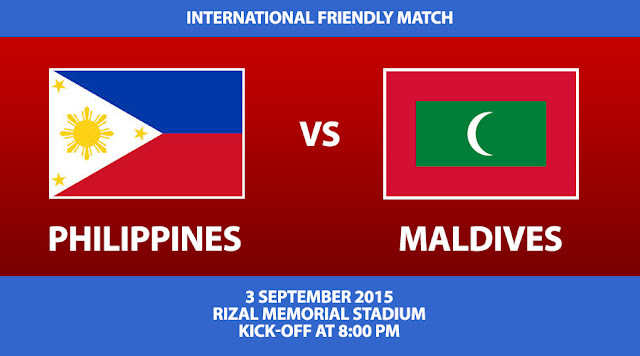 Watch the game of the Philippine Azkals vs National Football team of Maldives on September 3, 2015 at Rizal Memorial Stadium, Manila Philippines. Philippine Azkals currently ranked 125 by FIFA and the Maldives is at 176 spot. It seems like the Azkals has the advantage on this game but still this event is important for them .Its part of their preparation for the FIFA World Cup and Asian Cup Qualifiers. The Azkals will face the Uzbekistan team on September 8, 2015 for FIFA World Cup and Asian Cup Qualifiers.